Strategize toward luxe style. 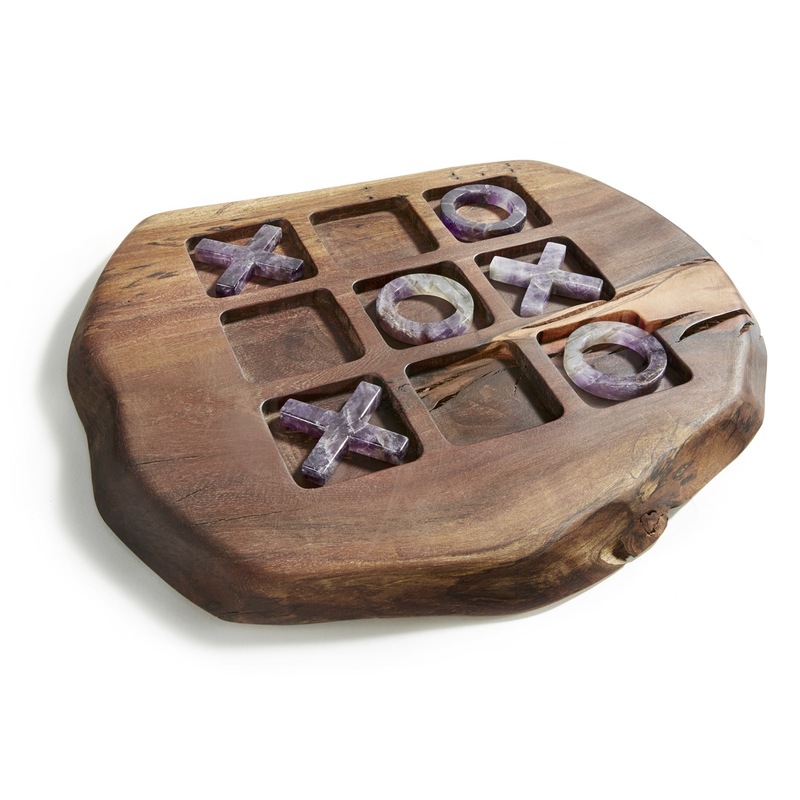 A cross-section of burl wood is fashioned into an intricate playing board that perfectly boasts the rich Xs and Os of amethyst. 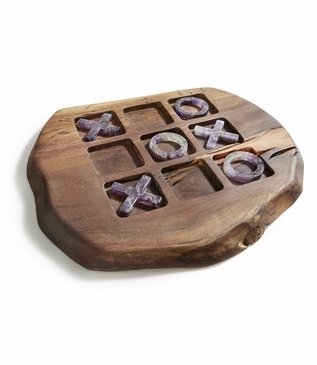 This gorgeous rendition of the classic tic-tac-toe game is perfect as a unique gift or an engaging showpiece for your space. As with all natural products, slight variations in coloration and size are to be expected and is what makes each piece unique.